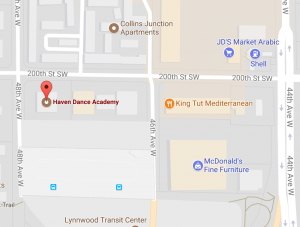 Tuition - Haven Dance Academy - Ballet, Tap, Jazz, Modern & Hip Hop Dance Classes for toddlers to adults! Private Lessons: $40 for 30 minutes or $60 for 60 minutes. Birthday Parties: $150 for 2 hours for current students. Includes a 30 minute lesson! Please email us or inquire of the front desk for scheduling.